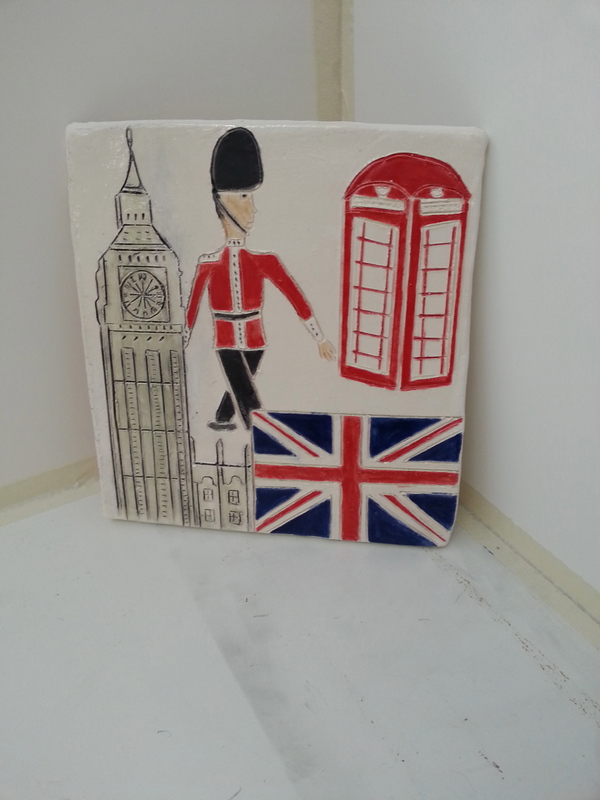 Finished Ceramics – Emma Teaches Art! 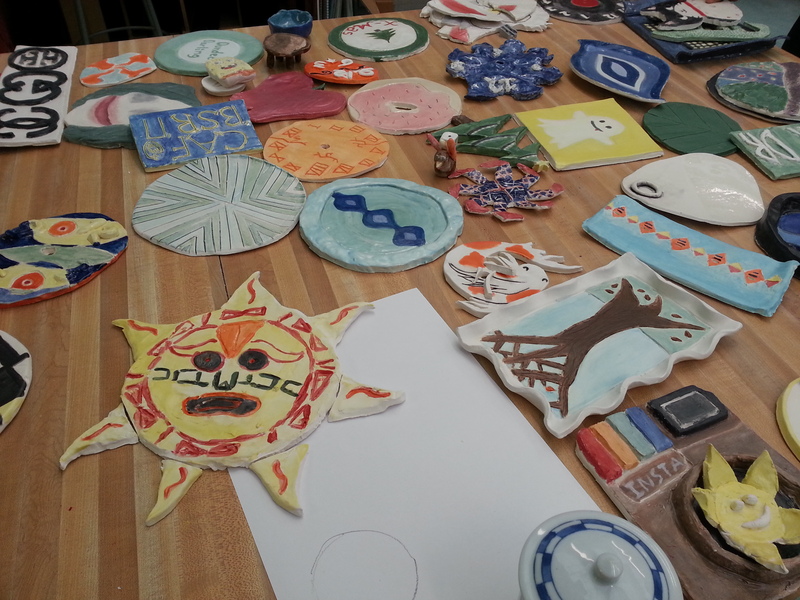 Finally we got what we had be waiting for… OUR FINISHED PLATES AND CLOCKS. Those girls who had requested the clock mechanisms got the chance to instal them in their clocks, and they actually worked! 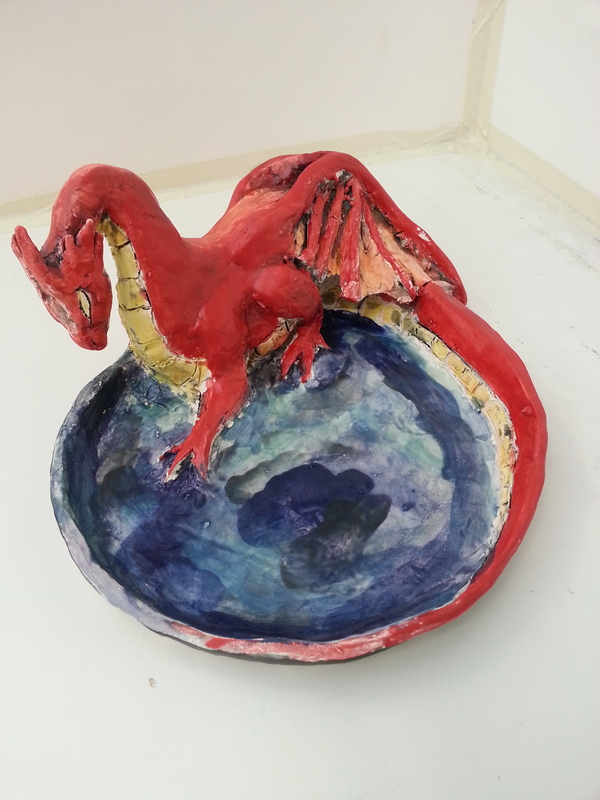 Also, a lot of careful and hard work with the new glaze payed off. 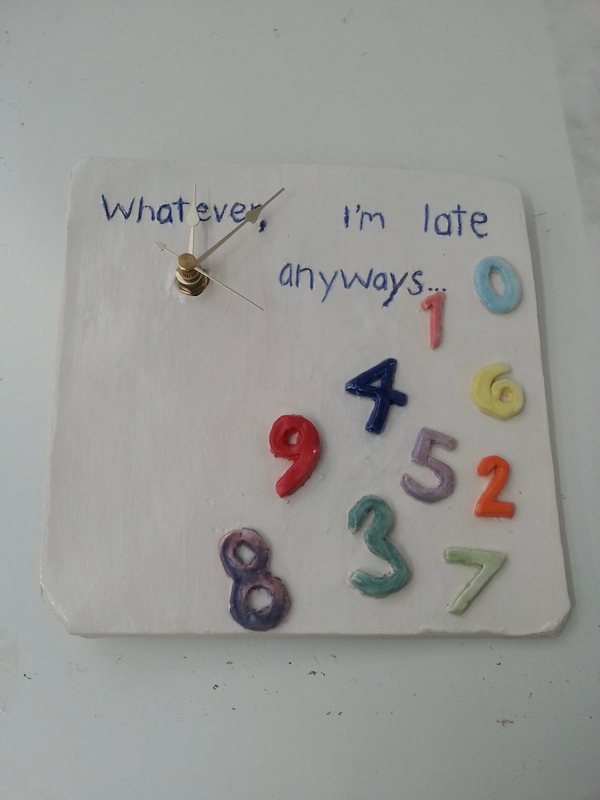 Our plates and clocks turned out beautiful. Our final step in this long process was to write about our process and have a class critique. Bellow our pictures there is an example of the worksheet that my students filled out and turned in for their final grade. It is a rubric along with some written responses about their piece. I give them the final grade but our rubric acts as a way for them to evaluate their own work, before I do. 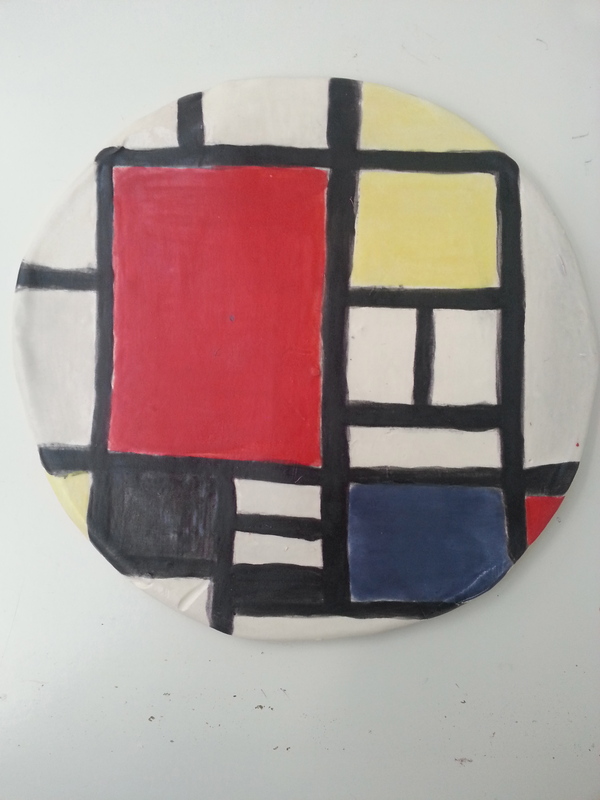 Click here for an example of our Project Rubric. 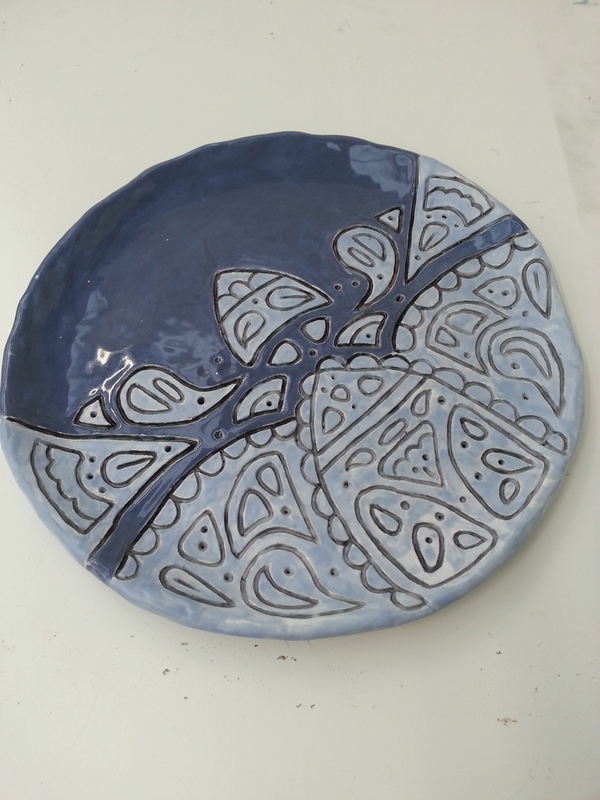 Pingback: Solid Ceramics – Emma Teaches Art!